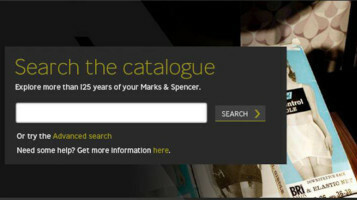 Our new online catalogue is now up and running, letting you explore the archive any time you want! The catalogue has descriptions of over 30,000 items held in our Strongroom, and has images of many items too. Click here to get started. Highlights of the collection are featured in our themes, which you can look at on our Browse Themes page. Currently we've got themes for men, women, children, food & home, employees, the early years of M&S, wartime and - our Senior Archivist's favourite - stores. We hope you'll enjoy having a look around and finding out more about our fabulous collection!